Looking for another reason to quit? Recent studies at Boston University’s Goldman School of Dental Medicine reveal that your gender, how much you smoke and how long you’ve been smoking can significantly multiply your need for root canal treatment. To sum up the findings, men and women are distinctly different when it comes to dental health. Men, it turns out, have the odds stacked against them when it comes to cavities, gum disease and oral cancer. Smoking puts men at twice the risk for developing these dental problems than women. Men who smoke also need more root canals. “Our study has shown that men have almost twice the risk of having root canal treatments if they smoke cigarettes, compared to men who never smoke,” said Elizabeth Krall Kaye, author of the Boston University study and professor in the department of health policy and health services. So does that mean women are in the clear? Not really, says Kaye. Historically, women haven’t smoked as long or as much per day as men but Kaye believes that the risk associated with smoking and root canals still applies. Although it might seem obvious, why smoking makes men and women more susceptible to dental problems is still somewhat of a mystery. Kaye and her associates think the answers lie in what smoking does to your overall health: It affects your ability to ward off infection, increases inflammation and damages your circulation system. 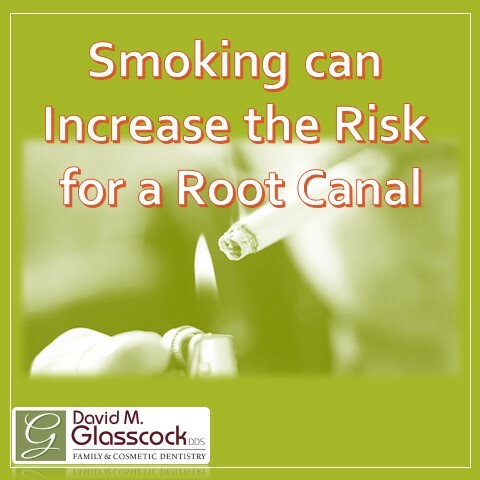 The good news is you can greatly reduce your need for root canals by quitting cigarette smoking and staying smoke-free. In fact, if you stay smoke-free for at least nine years, your chances of needing a root canal treatment can drop as low as a non-smoker’s.